However, the image clearly shows the asbestos panel structure and the vertical edging strips. Unfortunately, the model and images, even the 3D ones, do not allow you to view the inside of the building and look in detail at each room layout. Amazingly I only lived in a prefab for 7 years. I was 3 when we moved in and 10 when we moved out in 1965. I have not seen or been in one of these prefabs since 1966, 45 years ago, and yet I can remember from living in one and playing around in endless "wrecks" of them from the gale and from their later demolition and clearance every last detail of their structure and layout. Perhaps I should do the internal layout and 3D model? 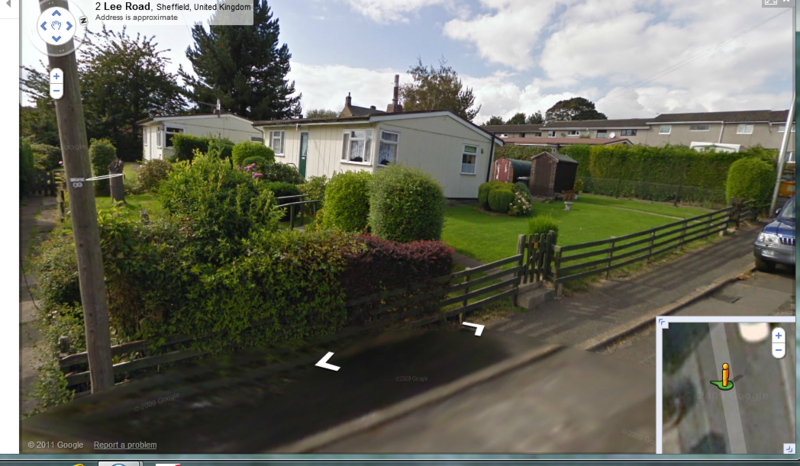 Is this a modern picture and are the prefabs still there? From the look of the windows they appear to have been modernised. Also the exterior walls, although all the same colour / material no longer give away what material they are made of. They are probably ARCON Mk V prefabs, but they could be UNI-SECO Mk III with extra camber on the roof to prevent them holding water. The Excalibur estate in Catford / Lewisham is a well known estate of old prefabs. Although I can see both sides of the argument for both preserving and demolishing these prefabs, having lived in one I can fully understand why some residents like them so much and are very reluctant to move out of them. Although they look like sheds they were, in the late 1940's, very desirable properties with all mod cons. They are of course now a piece of living history and well worth preserving. Having said that, modern living dictates that they would need to be modernised and brought up to current standards, particularly on thermal insulation, and MODERNISATION sort of goes against PRESERVATION at times. I do sympathise with those residents who wish to remain living in their prefabs, particularly as for some of them it has been their home for their entire life. I lived in a pre-fab for a short time as a very young lad 'so my memory of pre-fab life is very limited. My parents exchanged away after a couple of very cold late 1940's winters. My wife and I had static caravans in Derbyshire for many years and I would have great difficulty surviving a winter in one of those with similar insulation to a pre-fab. It didn't arise because the season ended in October, not that we used it that late in the year. One thing I remember my father complaining about was the fact that all the electrical switches were grouped together in a panel in the kitchen. This meant apparently a trek in the dark back to the bedroom after turning off the bedroom light in the kitchen. Was this a feature in all the pre-fabs or just the ones off Wood Lane, Stannington ? Yes it got cold in the winter. I well remember the winter of 1962-3 being very cold, being made worse by being one of the few prefabs left standing on the estate. The walls were thin and poorly insulated by todays standards, but worse by far than the walls were the single glazed windows in steel frames. With condensation we regularly had ice on the INSIDE of the windows, particularly the frames, which would then rust if not adequqtely protected by several coats of paint, - fortunately my dad was a painter and decorator, so ours were in good condition. However, to compensate that, coal was cheap and easily available before the clean air act was enforced on the Arbourthorne in 1965 and the small living room fire did an adequate job, albeit not very efficiently. In a single storey bungalow about 9 feet high most of the heat must have gone straight up the chimney. In the Uni-Seco MkII prefab there was a vent system which diverted hot air into ducts and lead it to outlets in the other rooms, - through vents above the doors into the bedrooms. These vents were very inefficient and never seemed to work or warm the outlying rooms away from the fire up much. On top of that, the "warm" air frequently carried soot from the fire and deposited it in the rooms via the vents. I was a bit too young at the time to know all the details of domestic electrics, but our prefab, along with all the others on the Arbourthorne of the Uni-Seco design did have light switches in every room, the old fashioned round ones made of black-brown bakelite witha sort of toggle switch in the centre. These were "conveniently" placed near doors so that you could operate them on entering or leaving a room, - however, some of them were on the wrong wall near the door so that when you opened the door to enter a dark room the door opened against the wall with the switch on it, covering it up so that you had to close yourself into a dark room before you could work the switch to put the room light on. There was a panel on the wall in the kitchen, which was on the wall which backed onto the bathroom. I assume that this panel was really a fuse box and a master on/ off switch for the whole house. Also, a feature of these prefabs which made than 1940's state of the art was the inclusion of fitted as standard electric cooker / oven, electric refridgerator and electric hot water immersion heater so I suspect that some of these appliances would have been on a radial rather than ring main and would have their own switches and fuses, and a convenient place to position this would be on the kitchen wall. I also remember from playing in the wrecks of gale damaged prefabs that the main wiring was of that awful black, perishable rubber stuff that wouldn't be allowed these days. The buildings clearly predate PVC insulated wiring. Also among the wrecks of the prefabs we frequently found amongst the "lost property" electric radiant heater which could be mounted on a wall, electric 1, 2 and 3 bar electric fires and old paraffin heaters running on Esso Blue. A testament perhaps to how cold these houses got in the winter without additional heating. In our own prefab we had a couple of paraffin heaters. We didn't have additional electric heaters because mum said it was "too expensive". She was comparing the cost of electricity to that of coal and paraffin! - How things have changed. Many prefab designs had the kitchen and bathroom back to back with the coal fire in the living room having its stack at one end of this junction. In some designs the kitchen / bathroom came like this as a pre-built modular unit. There was a small access gap between the 2 behind the kitch units. This was a brilliant design. It allowed mains electricity, mains water and waste sewage to enter / leave the building through just a single service point between the kitchen and bathroom, and that allowed the connection of water and electricity and drainage to these rooms with the minimum of piping and wiring. When we lived by the Bole Hills in Crookes we could clearly see the prefabs at Lee Road at Loxley and could also see a small estate of prefabs in Cliff Road in Stannington Village. According to Google Earth and Google Streetview both these estates still survive to this day. When these were built they would both come under the old West Riding Council 'so perhaps this is the reason that they still exist. They probably received better maintenance during their early lives than the Sheffield Council ones did. The prefabs shown in this link. These are Uni-Seco Mk III prefabs. Fortunately, the Excalibur estate in London has BOTH Mk's of Uni-Seco and several other types as well. However, for the residents of the Excalibur Estate and Lewisham Council, the debate goes on. I hope that, if (or more likely when) the estate is cleared, instead of just demolishing the lot someone has the sense to dismantle at least one prefab of every type and reassemble it in some sort of "housing museum" for posterity. I have seen more than enough demolished prefabs in my life and it would be nice to see some that are still intact and servicable. It would be even nicer to see some still lived in by people that loving treat them as "home"
It would be interesting to know what Council's attitudes to maintaing prefabricated housing they owned was. Officially the Councils themselves regarded the prefabs as "TEMPORARY emergency post-war housing" and as "Having a servicable life of no more than 10 YEARS"
This would seem to indicate that any maintainence would be short term and not really worth bothering about. 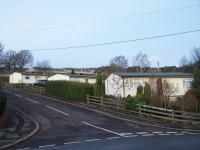 However, 10 years came and went, the prefabs were still standing and still servicable in good maintainence. When the gale struck in 1962 the prefabs were already about 16 years old, well past their original life expectancy. Many were destroyed or so badly damaged as to be beyond repair in what was an unpredictable natural disaster. No amount of maintainence, or lack of it, would have altered the outcome of the aftermath of the gale. The Council came and fitted steel girders to the roof and fastened them down to the ground with tensioned steel cables to stays hammered and cemented deep into the ground, - hust in case this once in a lifetime gale should, be chance happen again. We moved out in November 1965 when the area was being cleared for redevelopment, the last residents on the Arbourthorne moved out of these houses within a year so that by the end of 1966 they were gone. By this time these surviving prefabs were 20 years old. Built for 10 years and lasted 20. The ones pulled down in 1965-66 were all well maintained and in good condition. They were still fit to live in. Had the council not wanted to redevelop the area, which they did mainly because there were massive gaps on the estate where prefabs had gone due to the gale, they would have been habitable homes for years after that. In some areas of the country, like the Excalibur estate in London the same prefabs have survived in a habitable state, albeit with some "modernisation" and regular maintainence for 30, 40, 50, 60, and now getting on for almost 70 years! ...and all this from a house designed and expected to last for only 10 years. If that is a musical reference hilldweller then perhaps you, me and 2 other members who used to live in prefabs should get together and form a group. A link I found to some film footage of storm damaged prefabs in Sheffield. By the look of it I suspect that this is an amateur standard 8mm film, refilmed off the screen to digitise it. It lasts about 30 seconds, so if it is 8mm it would be about 6 feet of "magic bootlace" footage. They also got the date wrong, quoting 1959 instead of 1962. The last one I visited was on Butchill Avenue Parson Cross around 10 years ago. W/E. I did say that there are still some prefabs standing to this day. I also suspect, Council policy on demolition and redevelopment notwithstanding, that it is still standing and in good condition today. One has been resited to the RAF Museum at Duxford. It is complete with the original cooker furniture etc. I do not know from where it was obtained but it looks very similar to the Sheffield ones. 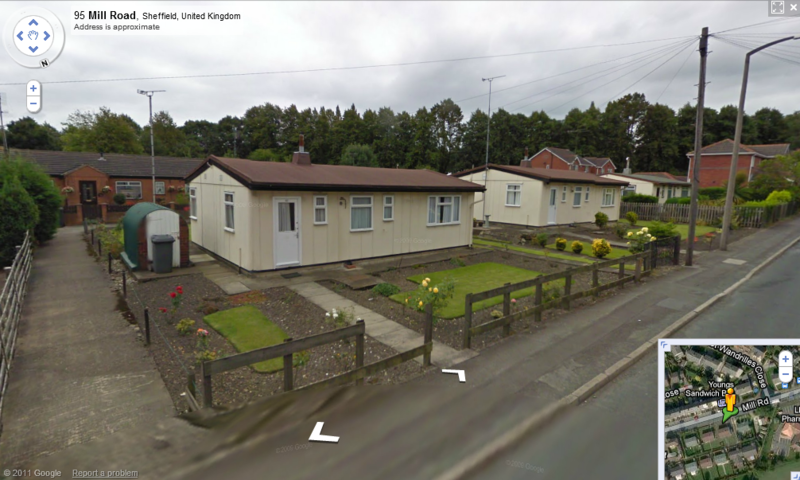 By my reckoning that is a total of three separate groups of prefabs still existing in Sheffield to this day. Sited at Loxley, Stannington and Parson Cross/Ecclesfield. 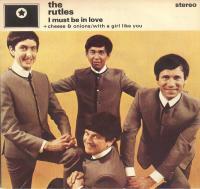 Does anyone know of any more that still exist in the Sheffield area ? The 3D model prefab available in post #72, and the images of it in the following 4 posts, #73-76 are all of this particular prefab at RAF Duxford. Yes it is identical to the ones on the Arbourthorne estate in Sheffield, it is a UNI-SECO MkII prefab, which is why I chose it for illustration. 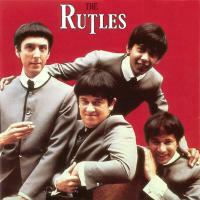 It is identical to the one I lived in 1958-1965. UNI-SECO were based in the south of England and most of there prefabs were assembled on estates down south and in the London area, like the excalibur estate also previously mentioned as having several surviving examples of this type. However, it looks like Sheffield must have placed a very large order for this particular type. Unfortunately, although I got the model and exterior shots I have no images of the interior, which I would love to see for the nostalgia of it even though I can already picture in my memory exactly what it looked like. Let's be a bit careful here hilldweller. When our old prefabs were demolished and cleared for redevelpoment in 1966 they were replaced within a year by more prefabricated houses made by either Finnegans or Vic Hallam. Can we restrict your request for information about prefabs still existing in Sheffield to those built between 1944 and 1948 under the emergengy post war housing act. If anyone can get pictures of these remaining prefabs showing external structural details I will try, although I cannot promise, to identify the type, manufacturer, layout etc. as I have tried to do with the Arbourthorne Uni-Seco's. I'll make that four, Mill Road Eccelsfield. W/E. It was the immediate post war bungalow type prefabs I had in mind. 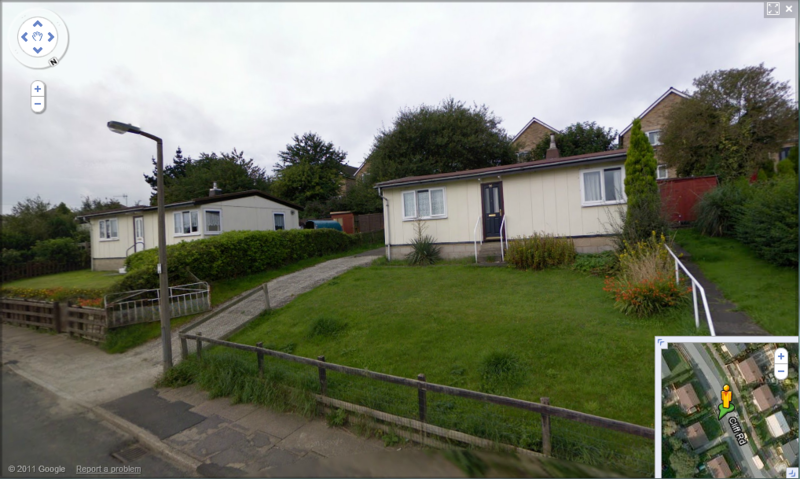 You should be able to identify the type and manufacture from Google Streetview images as most of the prefabs still stand behind open gardens with good views from the roads concerned. Happy I Spy Prefabs time. What a brilliant idea for a challenge. So lets be seeing some pictures of surviving prefabs in Sheffield to see what is left of them nearly 70 years after they were built. 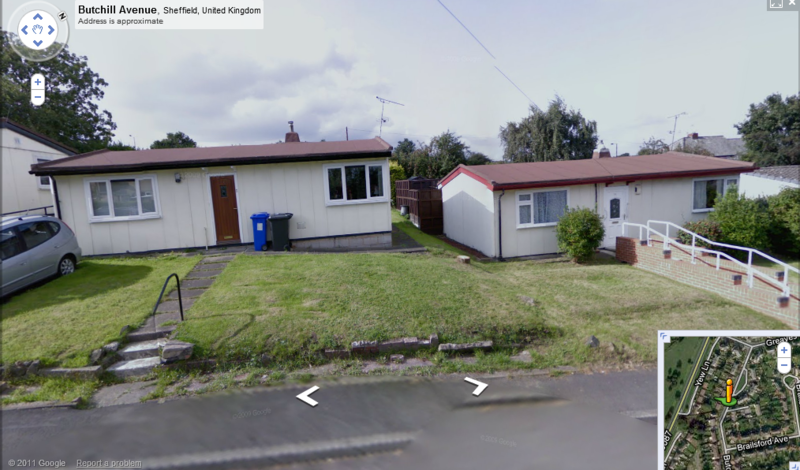 I'm going to attempt to attach copies of Google Streetview scenes covering some of the prefabs identified on the four Sheffield roads discovered so far. If it worked, prefab spotters get to work. Left to right Cliffe Rd. Stannington, Lee Rd. Loxley, Butchill Ave. Ecclesfield, Lee Rd. Ecclesfield. All 4 pictures seem to show the same make / model of prefab, although the last picture shows a "rear view" of the prefab compared to the others. These prefabs all have the following identifying features. This would seem to indicate that these prefabs were made by TARRAN, but there were 4 marks of TARRAN and I can't easily say which ones these are. Being built of concrete prefabricated panels they were a much heavier construction than other makes made from aluminium of asbestos ans so would have been much more resiliant to the effects of the 1962 gale. Somewhere I have got a scan of a blueprint of the floor plan of a TARRAN, if I can find it out I will post it on here.